A proven contest winner, the Quiver Q-Pro is the ultimate in an all round performance longboard. The result of shaping performance Mals for some of the best surfers in the world. This board nose rides as well as offering serious performance and maneuverability. It has single concave though the nose to double concave in the back third with a rounded pin tail. The below dimensions are guidelines and we can completely customise a Q-Pro board for you. 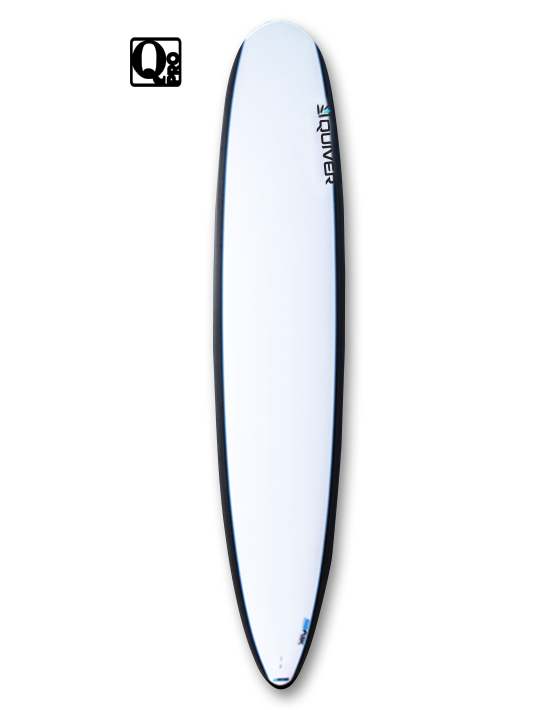 9’ 0" 21 7/8" 2 1/2"
Product ID: 446 Category: Boards. The dimensions in the dimensions chart are guidelines and we can completely customise a Q-Pro board for you.